If you have a Janome MC9400 or other type of modern sewing machine, you probably have a lot of decorative stitches on it. As quilters we don’t often get to take advantage of these decorative stitches, which is a shame. There are so many decorative stitches to choose from on most machines, and, on some machines, you can also change the orientation of the stitch and adjust the width and length of it. This makes for an almost limitless number of decorative stitches and, if you want to design your own stitches on the Janome MC9400, you can use the included Stitch Composer to do that. Not sure what the Stitch Composer is and how to use it? Not to worry, I’m working on a course to show you all about it and you’ll be the first to be notified when it’s released if you belong to my Chatterbox Quilts’ Facebook group (click here to join if you aren’t already a member). I really wanted to be able to use some of the decorative stitches on the Janome MC9400 in my quilting and I’ve found a way to do so by creating my own fabric with them. The first thing you need to do is to choose which decorative stitches you want to use on your fabric. I chose ones that were similar in that they stitched out in bars. I didn’t choose any wavy or long stitches, but you can choose any that you like. Next, you should always stitch out a sample of your chosen stitches on the same fabric, ensuring that you have a fabric stabilizer behind your fabric. This is when you can decide if you want to use the stitch’s default settings or want to make some changes. Be sure to write down the stitch number and any changes that you have made to it on your sample fabric so you’ll easily find these stitches on your sewing machine when you want to create your fabric. Now comes the fun part! You’re going to make your own fabric! I like to use my walking foot when I stitch, ensuring that the zigzag needle plate is on the sewing machine. With my Janome MC9400, I can either use the standard walking foot (AD Dual Feed foot) that came with the machine or I can use the optional narrow walking foot [VD or AcuFeed Foot with Foot Holder (Single)]. I like to use my walking or even feed foot because it keeps everything stitching along nicely and I can use the edge of my walking foot when I want to stitch the next row. I move my fabric over and align the edge of my walking foot with the line of previous stitches. This gives me the same distance between each row of stitching. I stitched my decorative stitches on a diagonal for an interesting effect, but you could certainly stitch them in straight rows if you’d like. For more information on how to use decorative stitches on the Janome MC9400 to create your own fabric, click on the image below. Wondering when you’d use this created fabric? Why not try it as fabric in your pieced quilt blocks or in tote bags, purses or pouches? The fact that you can personalize this fabric makes it so versatile and so you. Do you have any ideas on how you might use this fabric created using the decorative stitches on your sewing machine? Post them in the Comments below. P.S. Do you want to enhance your quilting and become the best quilter you can be? If you answered “yes” to this question, you need to join The Quilter’s Way. The Quilter’s Way is the only quilting membership site that includes both training and an active, supportive online community. Don’t wait another day! Join now. P.P.S. 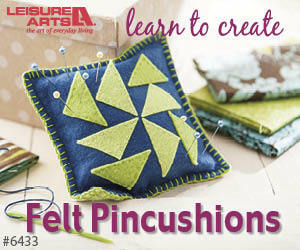 Did you know that you can sign up to receive emails full of FREE quilting goodness? Click here to receive FREE content directly in your email inbox every few weeks from Chatterbox Quilts. I know you'll be glad you did!